Cornerstone Roofing is a Top 3 Finalist in the 2014 Best of Northshore Awards - Cornerstone Roofing, Inc. 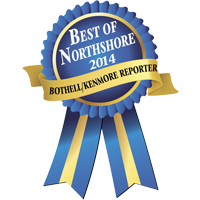 Cornerstone Roofing is honored to be a Top 3 Finalist in the Bothell-Kenmore Reporter’s 2014 Best of Northshore Awards in the Best Home Improvement category! Thank you to all of our clients who voted for Cornerstone Roofing!